Osgood Schlatters disease involves in which of the following? 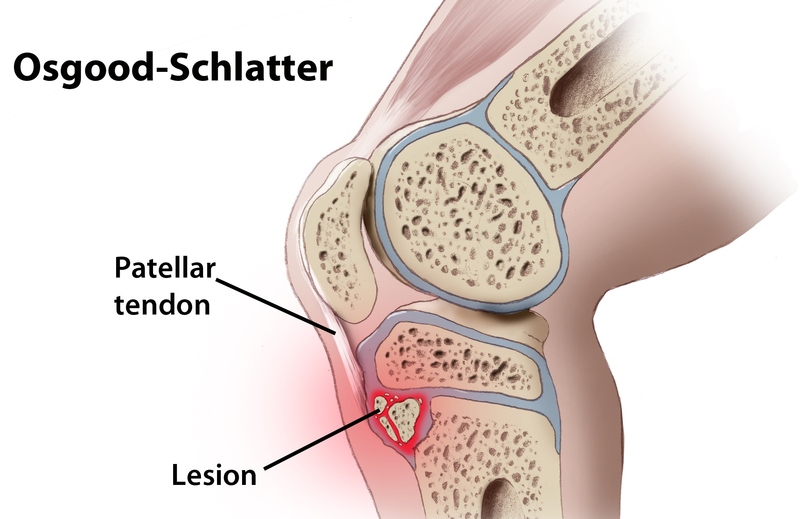 Osgood-Schlatter disease is apophysitis of the tibial tubercle resulting from repeated normal stresses or overuse. Inflammation causes patellar tendonitis and the development of a remarkable prominence, induration, and tenderness of the tibial tuberosity. There is no avascular necrosis of the tibial tubercle. Children are usually between 10 and 15 years of age at time of onset; it more commonly occurs in running or jumping athletes. Signs and symptoms are chronic, intermittent pain and tenderness over the anterior aspect of the knee and the tibial tuberosity. Treatment for the disease is activity restriction.